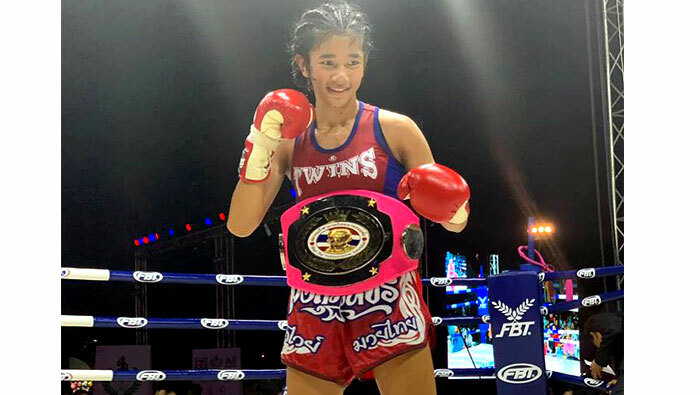 Young Thai Boxers Mongkunpet and Sittichai, won gold at the IFMA Youth World Championships. The event was held in Bangkok between August 3-10, 2017. Mongkunpet, our talented young female fighter, defended her title and remains the IFMA Champion in her weight class. Sittichai, a young promising talent as well, also won his event. Congratulations to our young boxers and we wish them continued success. At Rawai Muay Thai we sponsor young boxers. They live in the camp and train daily. We cover their living expenses, school tuition, training and travel expenses. We want the next generation of boxers to have a chance at making a career in Thai boxing. It helps youth stay focused and out of trouble. And sport also teaches important values like discipline, respect, hard work, that can be useful the rest of their lives. When you train at Rawai Muay Thai part of your training fee goes to the young Thai fighters, to keep their dreams of becoming champions alive. So not only are you getting quality training but you are helping the community as well.